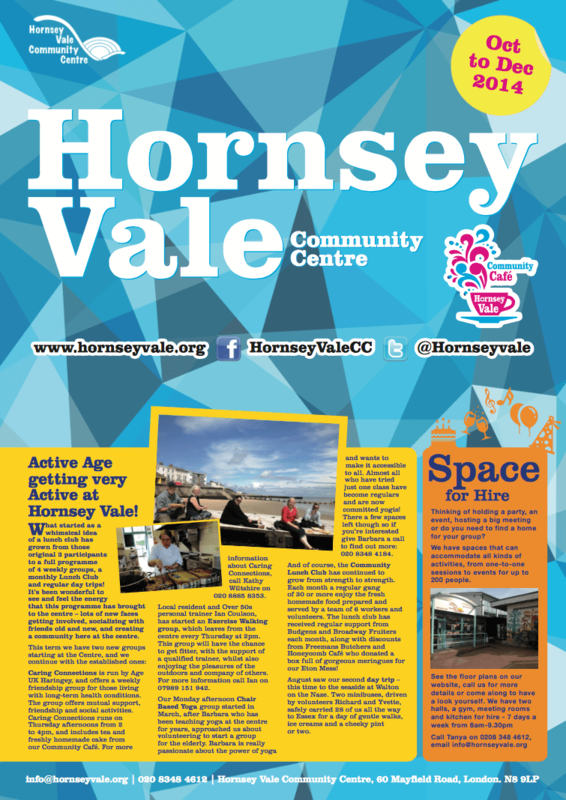 For a few years now I’ve been volunteering some of my time with Hornsey Vale Community Centre – they needed help with publicising their events, activities and the centre in general and so that is what I’ve been helping them with. What we came up with has already proved to be very popular and we have even had local businesses interested in advertising in future editions. The newsletter is distributed 3 to 4 times a year to local homes and businesses.